VILLAS AND APARTMENTS TO RENT IN SITGES, SPAIN. 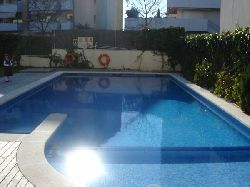 Welcome to our selection of holiday homes to rent in Sitges, Spain. The coastal town of Sitges is located around 30 kilometres south of Barcelona and is famous for its decadent festivals, lively nightlife and popularity as a holiday destination among gays and lesbians from all over Europe. However, children are still well catered for, with a wide selection of excellent beaches, a number of theme parks within driving distance and other family-friendly attractions such as boat trips along the Costa Dorada. Sitges itself is home to over 15 different beaches, all with their own charms. Les Botigues in the east is the resort's largest beach and often the most popular too, thanks to its location and excellent amenities. Les Botigues is situated next to the marina, which means an excellent selection of seafood restaurants can also be found in the area for lunchtime or evening snacks. Many of the beaches within the town centre are smaller, more coves than wide expanses of sand, but the family-friendly Sant Sebastia is an exception. This beach gets very busy on weekends and evenings, as it is where most Sitgeans go to soak up the sun. Fragata is the ideal beach for sports enthusiasts while Estanyol is where the party gets started early with live music on weekend evenings. There are several nudist beaches around Sitges such Morisca Cove in the east and Home Mort and Desenrocada to the west. These latter two beaches are quite hard to access so you're unlikely to stumble upon them by accident! The annual Carnival, which takes place in February, has been held in the town for decades. These days the event consists of colourful and musical parades through the resort, as well as open-air dances and parties until the early hours of the morning. Food is an important part of the celebrations, particularly the local delicacy �xato�, a salad made with salted cod, tuna and anchovies. Huge communal pots are made for Carnival attendees to eat in order to keep their strength up. Other cultural events in Sitges include the celebration of the town's patron saint at the end of August with more parades and a fireworks display, the festival of Santa Tecla which is famous for its �castellers� or human towers and the celebration of the wine festival each September. Finally, the town's International Film Festival, which specialises in fantasy and horror productions is held every October and has been attended by many of the biggest names in the movie industry. Looking for self catering holiday accommodation in Sitges? Then below is a selection of holiday apartments in Sitges and holiday villas in Sitges that can be rented direct from their owners. You can either click on each listing for further details or you can use our search engine on the left if you are looking for something in particular.